Financial assistance is available - please indicate on the registration form if you need assistance. We do not want anyone to be unable to attend due to financial considerations. Two thousand five hundred years ago Sidhhartha Gautama sat through the night and, on seeing the morning star, "woke up" to enlightenment as Shakymuni Buddha . Every year Buddhists around the world celebrate the anniversary of this event by joining together and sitting through the night, and as Red Clay Sangha now has a dedicated space, we will for the first time be joining this special global celebration. Traditionally Bodhi Day (or, in Japanese, "Rohatsu") is recognized on the 8th day of the 12th month (which is what "Rohatsu" means). In a break from Red Clay's normal tradition of observing Rohatsu with an overnight in-town retreat, for 2019 we are moving to the mountains where we will build momentum through a couple of days on retreat before inviting retreatants to sit through the night on Sunday December the 8th. If the weather permits, some of us may take our cushions and sit outside for at least a portion of the night (if you think you might want to do this, please bring along some warm clothes!). And everyone is invited to take a break during the night, whether planned or unplanned! At 6:00am on Monday morning we will ring in Buddha's enlightenment and have a short service, followed by breakfast and the opportunity either to continue sitting, or to sleep for a few hours before the retreat ends with lunch. Facility The Sautee Hereford Lodge sits on a beautiful 350 acre ranch in North East Georgia (2 hours from Atlanta). 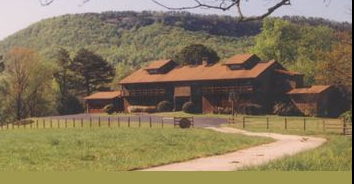 The lodge has 12 bedrooms, 6½ baths, a full kitchen and eating area, and separated meditation hall. The lodge has full HVAC. Please see our photo album for photos from our may retreat there. Accommodations You may choose a shared room in the lodge or tent camping on the grounds. 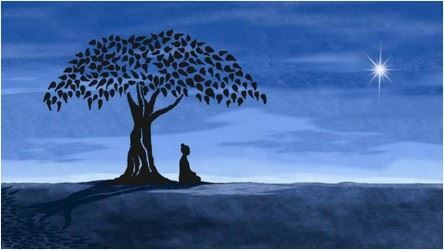 Silence During retreat we maintain silence so that we can settle into the intimacy of our practice. Necessary talking and Dharma discussions at appropriate times are allowed, but at other times we avoid speaking to allow ourselves to experience a different type of communication. Late Arrivals Because many folks will need to work on Thursday, you may arrive until 9pm on Thursday night. Please indicate your planned arrival time on your registration form. The typical daily schedule will include moderately early rising, sitting meditation, walking meditation, meals, breaks and time for body practice and/or creative practice. We also will have Dharma study periods and opportunity for group or individual discussion. Meals Meals are vegetarian with dairy (labeled). Coffee, tea and snacks will be available during breaks. All participants will have an opportunity for silent work in the kitchen to help prepare or cleanup our food. Meals are eaten at a table in silence. Cost The cost of this retreat is $150 per person and includes accommodations and all meals. There will be an opportunity to practice Dana (generosity) to the teacher. This cost covers the facility, food, accommodations, and teacher expenses. It provides no profit to the sponsoring organization. If we have more than 15 participants, it also will help cover a scholarship fund for those needing assistance. Financial Assistance We would like for every one to be able to attend regardless of ability to pay. To achieve this goal, we need those who are able to contribute into a fund to help pay for those who are unable. This gives everyone the opportunity to practice generosity together. All funds collected for this purpose will be divided equally between those who have requested them. You will be notified no later than 1 week prior to the retreat if there are insufficient funds to meet your request. Benefactors For those who are unable to attend the retreat, but wish to practice generosity to those who cannot afford it, you may make a contribution which will be used for this purpose here. Refunds and Cancellation The retreat fee includes a $50 non-refundable deposit. The remaining $100 will be refunded up to three days prior to the retreat, after which no refund can be made. If we do not have enough participants to cover the cost of the lodge and/or teacher we may need to cancel the retreat. All fees will be refunded in this case. Questions or More Information? please contact Gareth Young, Cherry Zimmer or Ayo Yetunde.